Admittedly, I haven’t always loved photographing family sessions. My jam has been couples, their love story, the journey through their engagement, and the wedding celebration to kick-off their marriage. 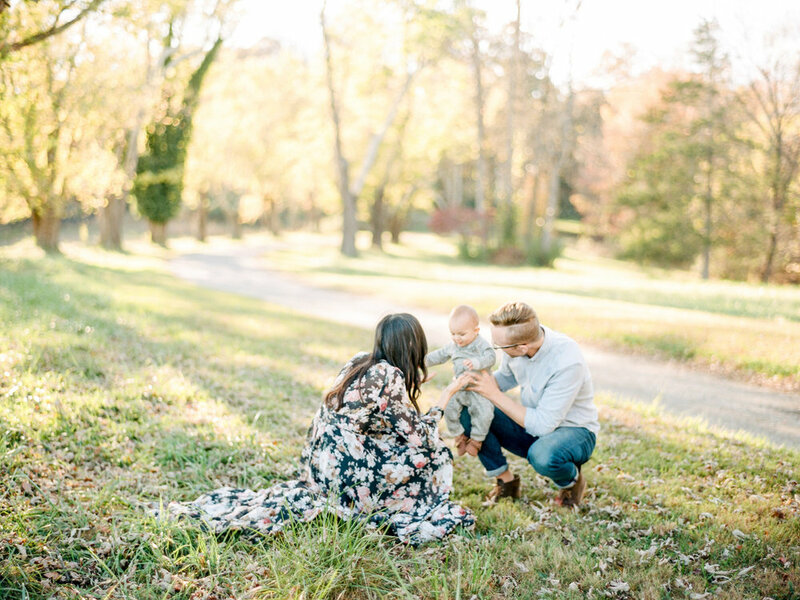 This year, though, we’ve had the honor of capturing incredible moments with families who have trusted us and I’ve grown to love photographing families. We’ve slowed down with film to try to capture their moments and the emotion they share. To help pause their life - stamping time with a photo so that moment stays forever. Another incentive to shoot family moments was the appearance of a glorious little squish named Linus. He doubles as the cutest nephew in the world and doesn't mind giving out smiles for the camera. And since we’re firm believers that pets are family too, George was a non-negotiable - he brought his A-game. 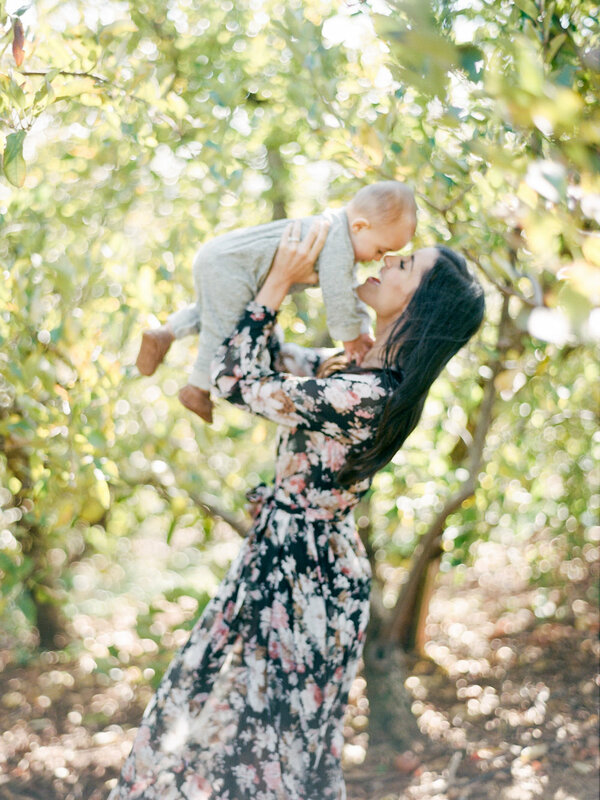 We caught the last breath of Fall at Carter Mountain Orchard in Charlottesville to fulfill Kathryn’s vision of having family photos at an apple orchard and then we headed back towards Lynchburg to finish the session. 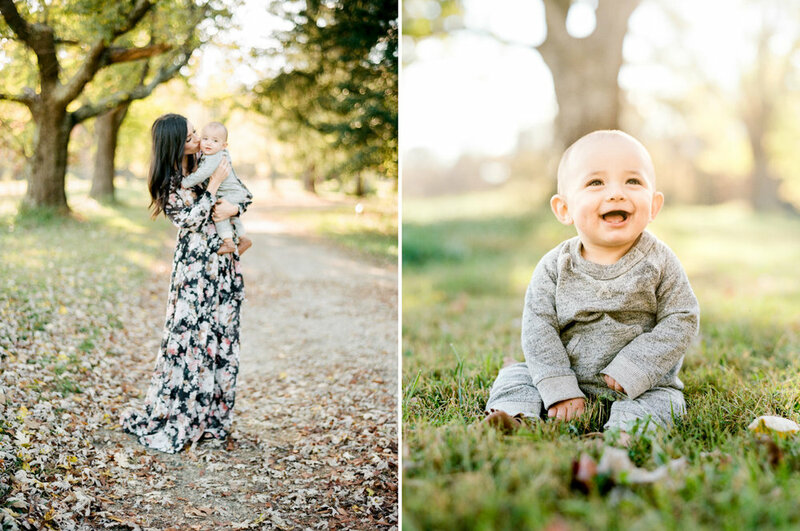 I'm so incredibly happy with how these turned out and I'm not ashamed to say that a 9-month-old stole my heart.